My husband had a business trip to Osaka. 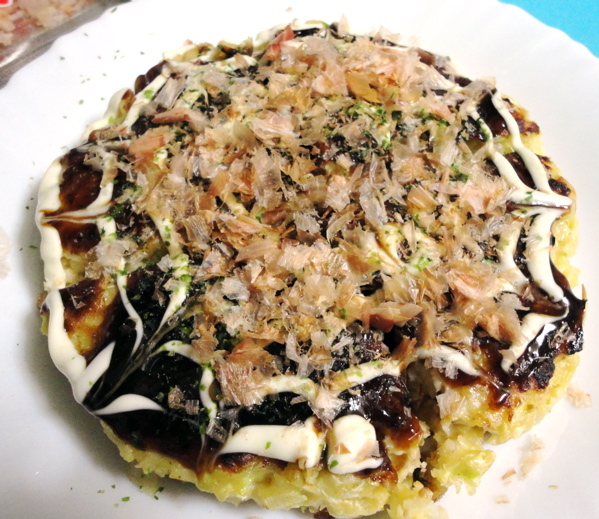 As a joke, I asked him to bring back some okonomiyaki, the famous local 'savoury pancake'. And he did. 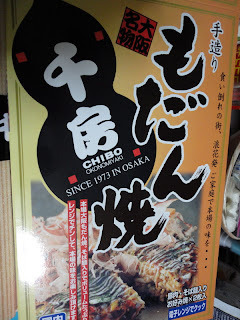 At Shin-Osaka station, he bought an okonomiyaki kit from Chibo, a popular okonomiyaki restaurant near Nambu. 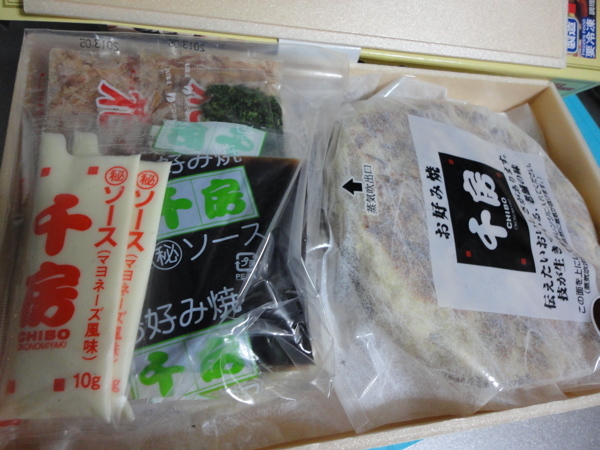 Inside, there were 2 vac-packed okonomiyaki, plus the sauce, mayo, nori and katsuoboushi, ready to go. 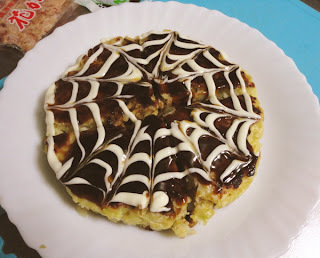 The instructions said you could microwave them, but I think a minute in the microwave then a quick go in the non-stick frypan gave a slightly crisper, more authentic result. It was delicious! But not quite the same as making one fresh on a hotplate in some smoky little restaurant with a nama beer or two.